Paseo de los Tristes is located on Valle del Darro. Although it is officially named Paseo del Padre Manjon, its designated name comes from the funeral processions on the way to the cemetery. Nowadays it pays tribute to Padre Manjon, a priest who built a school for poor children in the neighbourhood of Sacromonte. On the same street we can find a sculpture in memory of this celebrated figure. If we ask the locals, they will also mention that Paseo de los Tristes is definitely one of the most romantic places where people can take a romantic walk while enjoying the sunset. Furthermore, this place offers a stunning view of the Alhambra. 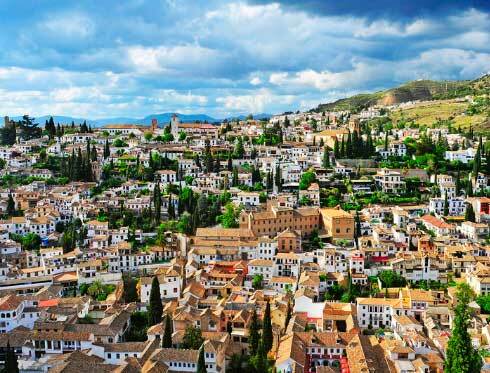 From Paseo de los Tristes, you can arrive easily to many points of interest of Granada: the Sacromonte and the Albayzin, the Palacio de los Cordova, the Alhambra, the Generalife and more. 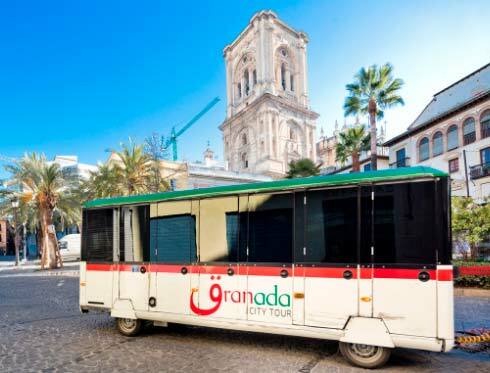 If you want to discover the area of Paseo de los Tristes in a comfortable way, choose Granada City Tour and enjoy all the benefits the tourist train of the city offers you. The hop-on hop-off service lets you get on and off the train as many times as you want with the same ticket. With the panoramic train, apart from visiting the city in a short time, you will be able to know the most important points of interest in more detail. 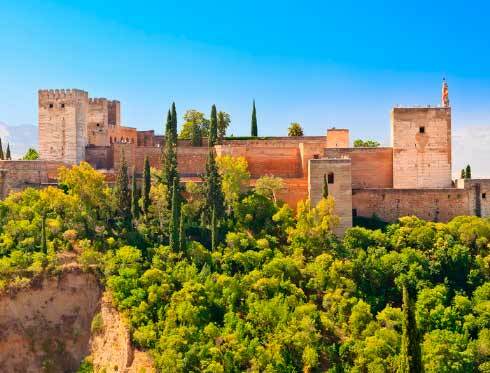 Suggested stops: stop 4 of the Alhambra Route Daytime or stop 2 of the Alhambra Route Nighttime of the official tourist train of Granada.